The SC refuses to review the order in CIDCO‘s land allotment case, indirectly dismissing Dushyant Dave ’s allegations. A Supreme Court bench consisting of Justices J. Chelameswar and Pinaki Chandra Ghose has dismissed the Review Petition filed by City & Industrial Development Corporation of Maharashtra (CIDCO) by its dated 28.8.2014. The order against which review petition was filed had created a huge storm in legal circles in view of the letter written by Senior Advocate Dushyant Dave to the then CJI Sathasivam alleging improper listing and disposal of the Civil Appeal which pertains to land allotment by CIDCO. The story first appeared in Live Law followed by Times of India and other online publications. I have received a copy of the letter from Advocate Dushant Dave where he had mentioned various statements concerning the great institution of the Supreme Court of India. You are its Chief Justice and the highest judicial authority in the country. Reading the letter as a whole and the issues specified by him I was outraged that particular judges could behave in bizarre ways. This is no secret but desiderates a public enquiry at your high level with appropriate action. Delay or indifference in these matters will bring disrepute to the sublime Supreme Court. I say no more at this stage except to request you to take speedy and suitable proceedings where the major concern will be the majesty of the Supreme Court and fearless fair and high level action that you feel deserves to be taken to protect the reputation of the High Bench of which you are the Chief Justice “. “I received copy of a letter which Justice V.R. Krishna Iyer sent to you regarding what Sr. Advocate Dushyant Dave had written to you (regarding the order dated 25.2.2014). If what the Sr. Advocate mentioned is true, no doubt it would disturb the mind of anyone interested in upholding the rule of law and the majesty of the Supreme Court of India. I write this to express my sincere wish that you will not hesitate to take appropriate remedial measures to extricate Supreme Court from the ignominy created on account of the order referred to in the letter”. The Review Petition was filed by the City & Industrial Development Corporation of Maharashtra (CIDCO) against the order dated 25.2.2014 ( Please read the order here) which was passed by the Supreme Court bench consisting Justices Chandramaouli Kumar Prasad (now retired) and Pinaki Chandra Ghose . Since Justice C.K. Prasad retired, the Chief Justice had constituted a new bench by including Justice J.Chelameswar to hear the review petition. Since the order in question which was subjected to review has received huge public attention, the CIDCO had also filed a petition for hearing the Review Petition in open court. The reviewing court has dismissed both the Application for personal hearing as well as review petition itself. Now the review petitioner is left with the option of filing a curative petition if they are so advised. The curative petition need to be certified by a Senior Advocate. 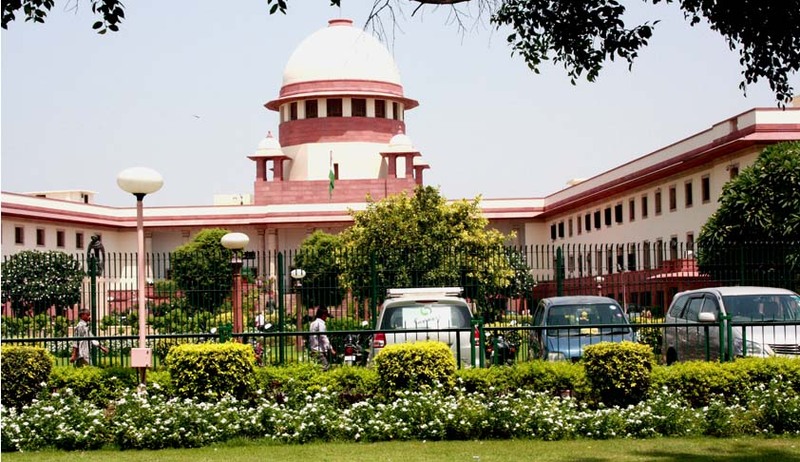 Live Law has learned that many Senior Advocates have come forward to certify, holding the view that the Order dated 25.2.2014 was not judicially correct, despite the dismissal of the review petition by the Supreme Court in exercise of its review jurisdiction under Article 137 of the Constitution of India. Whatever the course being adopted by the Review Petitioner, in view of the dismissal of the Review Petition, the order dated 25.2.2014 has been reaffirmed by the Supreme Court after a re-look, in other words, it has the effect of dismissing all allegations raised in this regard. Mr. Dave had written to then Chief Justice of India, Justice Sathasivam, to take action in a case involving grant of permission by a 2-judge Bench of the Supreme Court, which passed an order to post Civil Appeal No. 9454-9455 of 2010 along with another unconnected SLP (Crl) No. 7232/2013 before it, and then permitted the appellant to withdraw the Writ Petition from the Mumbai High Court itself, as a result of which the damaging observations of the High Court, where it found on merits that the public property is given to a private party at grossly undervalued price had been completely erased. (Please read the Live Law reports) It was pointed by the members of the Bar that if such order by the Supreme Court is allowed to remain, it would create a highly improper precedent by which one can get a judgment set aside, by withdrawing base writ petition or suit as the case may be. Mr. Dave had referred the above developments as ‘extraordinary’, and ‘unparalleled, reflecting gross abuse of judicial power to cause damage to public running into an unspecified amount.’ Speaking to Live Law, Prashant Bhushan, had gone to the extent of saying ‘the circumstances under which the order (permitting withdrawal) was made prima facie shows ‘dishonest motive’. He had said ‘it was a blatant case of not just judicial impropriety, but also smacks of ‘dishonest motive’ .